Root Cause Analysis has a number of methods and systems – sold as products or tools – under its umbrella. The simple fact is that RCA is a misnomer which creates false expectations. 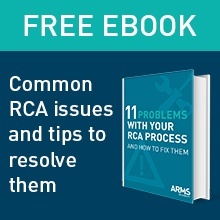 One understanding of RCA suggests that it is a process of investigation which will reveal a single cause being the root of a problem, incident, or failure. Equally however, it could be interpreted as the analysis of a Root Cause. Calling something a Root Cause pre-supposes certain characteristics which enable one to recognise it when it appears on a list or when you inadvertently stumble upon it. Another interpretation of a Root Cause is that it’s the culprit at the very beginning of a problem. There is undoubtedly a mystique attached to the label. When RCA is mentioned in general conversation it invariably draws a request to repeat its name. People are curious because they have seen or heard it in media reports but without clarification of its purpose. Its mere name legitimises it as a serious exercise with intrinsic value and significance. RCA is seen as being on a higher plane than other forms of investigation. Expectations are high but misconstrued. Nothing happens in a vacuum. This is to say that no action or lack thereof can cause any problem without attendant factors (i.e contributing causes or related factors). These categorical labels disguise the fact they are causes. The desire to attach a descriptor arises from an effort to make sense of a complicated matter which has multiple causes. So this, usually hierarchical, list of types of causes supposedly enables one to recognise the most significant one – the one that has the greatest influence. But establishing the degree of influence of a single cause is difficult. 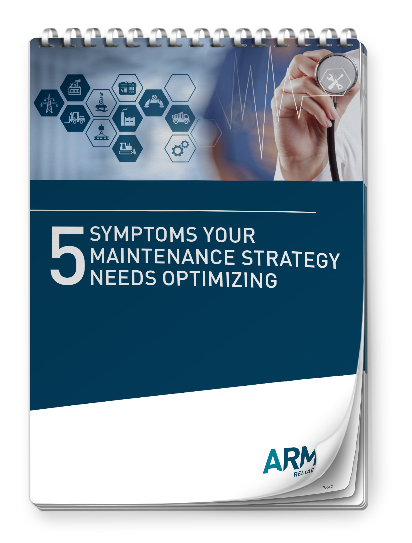 Key moments, behaviours, operating conditions or the capacity of technical equipment may all contribute equally to a problem. If RCA means the analysis of a Root Cause so as to identify the key characteristics, the purpose would at least be more constructive than attempting to identify a single cause. For some, RCA is concerned with the originating cause. However this is as difficult to define and identify as the previous suggestions. Do you analyse the situation from the point when someone noticed a problem, or do you analyse the time before the symptoms were recognised. When do problems begin exactly? None of the above is adequate. There are always multiple causes and the goal of an analysis is to understand the entire problem so that it is prevented in the future. Controllability is the key and RCA is a means to an end. Some causes are more or less controllable depending on the situation. Investigators are required to recommend how to control the causes (or at least mitigate the consequences) through elimination or modification. They will need to assess the potential for control of all the causes. Then, unless an analysis demonstrates the inter-relationship of all causes, appreciation of the effectiveness of the controlling measures will be difficult and, needless to say, a low degree of prevention will be achieved with a single control. When there are multiple causes, some of which are more easily controlled and/or have a significant downstream effect, it is the decision to do something to prevent a recurrence which is the turning point. The moment one decides, after careful consideration of the relative costs, effectiveness and other pertinent criteria, to “challenge” any cause with a solution, a Root Cause has been identified. If it is important enough and controllable enough, the impact in terms of prevention will be significant. You decided with your team that this will make a difference. Typically though, it will be reinforced by other measures which control some other important causes. So you have Root Causes not a single Root Cause. I recommend adopting the title “Root Causes Analysis” otherwise you will be guilty of perpetuating the myth. Ned Callahan is an experienced Apollo Root Cause Analysis Instructor and facilitator with 15 years' management experience and over 15 years' experience in education in two stints. In his 3 years at ARMS, he has helped people from over 300 companies become better problem solvers.